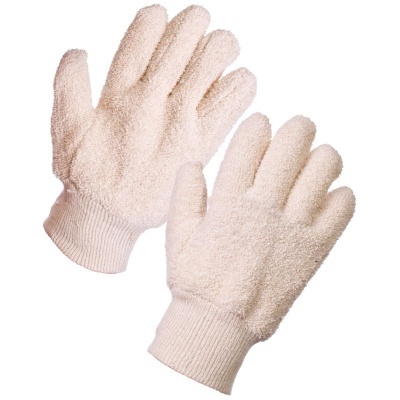 With their soft, comfortable and protective design, the Supertouch 28103 24oz Terry Cotton Knit Wrist Gloves are suitable for various tasks ranging from utensils to light metal handling. They protect your hands not only from tears and cuts, but contact heat as well. The Supertouch 28103 Terry Cotton Knit Wrist Gloves are available in a universal design that should fit most adults.